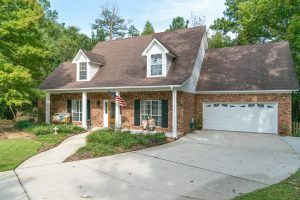 Beautiful 5 bedroom home with relaxing backyard and lots of privacy in Spanish Fort! This home at 19 Bugle Retreat is set at the end of a cul-de-sac in the peaceful Spanish Fort Estates. The lot is .75 acre and very private. There are no neighbors on either side and the gorgeous wooded back yard goes far enough back that, most of the year, you don’t even see the neighbors to the back. 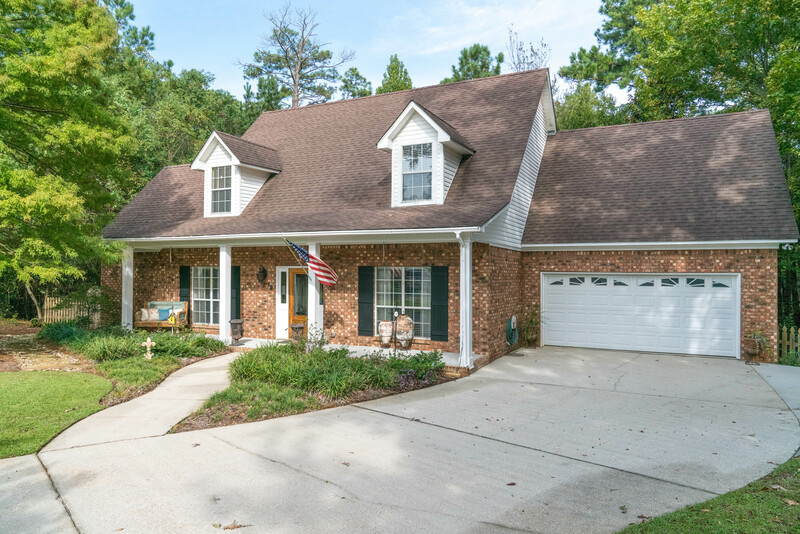 When you sit in the screened porch, on any of the 3 decks, or on the beautiful brick patio in the backyard, you are met with the relaxation of hearing just the rustling of the trees and the wildlife that live close. There are several features in the home the sellers consider their favorites that they will miss when they relocate out of state. The great back yard is one of the places they spend the most time. It is very private and they enjoy watching and hearing the many birds and wildlife. They love the open den that has access or views to the kitchen, screened porch and backyard, or the open railing upstairs. There is plenty of room for guests to stay in any of the additional 4 bedrooms. The sellers also love the private cul-de-sac lot that allows views and access to neighbors, but grants privacy and quiet, as well. They also mentioned that the affordability of the home and Spanish Fort living has become one of the things they love about where this home. The backyard has been through a complete renovation over the last few years, with 3 decks, brick patio, storage shed, foliage, and fencing. The yards have been professionally landscaped with irrigation added, as well. Many things have been replaced in recent years, including air conditioner units, floors, appliances, and the front door. Recently updated cabinets and paint throughout the home also add to the updated feel of this gorgeous home! The sellers’ favorite grocery stores and shops in the area include Rouse’s, Walmart, ACE Hardware, and the Eastern Shore Center mall. They will miss the great location that allows close proximity to I-10 and ease of access to the beach. They will also very much miss the quality of life in Spanish Fort. Come visit this beautiful home and experience the peacefulness and all the room for your family and friends! Call me today at 615-975-2798!